The Coffee Collective Blog: Fresh crops are in! Today we're releasing the fresh crop Kieni, Gichathaini and Esmeralda ! We're going into our fourth year with Kieni now and thrilled to see the quality grow. This year's harvest is the best we've had from them. Incredible structure and mouthfeel, intense and deep, juicy acidity, black currant, rose flowers and brown sugar. Last year Kieni was the mill in all of Kenya that paid out the most money to it's members, and it's great to see the farmers being rewarded for producing this extraordinary quality. You can read much more about Kieni in Peter's blog post from his visit during the harvest in December. This year we've also bought a small lot from Gichathaini - one of the mills under the Gikanda society. We last bought from Gichathaini two years ago and are happy to feature this coffee again, as it's a very different taste profile than the Kieni. Refreshing acidity and citrus fruits, apple and rhubarb. Esmeralda Special 2013 - the infamous auction coffee. We secured a small lot from the Mario Carneval parcel, which was out favourite. And the price this year was lower than last, so we'll be able to keep it at 99,- for 125 g. We've decided to do smaller bags of the Esmeralda again this year (half of our usual size) to make this accessible to more people and to make sure you can enjoy the whole bag while it's still fresh. 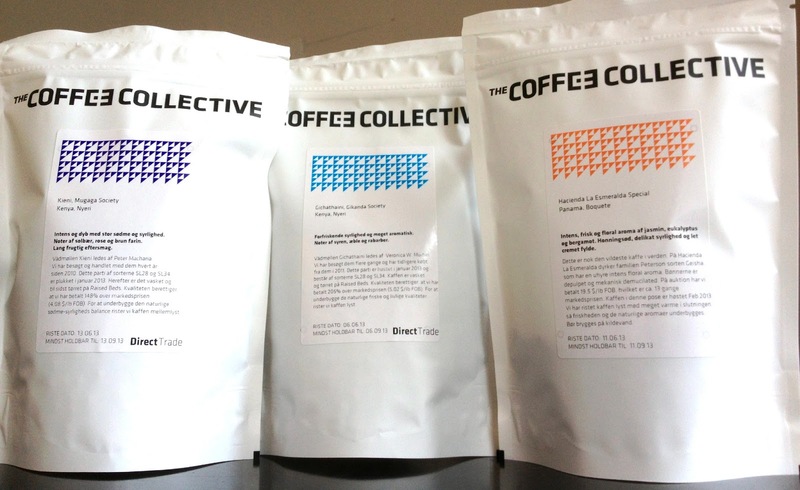 All three will be in the shops from today - both as bags and brewed options. So come on by and make sure to taste these delicious fresh crops!